Next month will mark 10 years since Hurricane Katrina, one of the costliest and deadliest hurricanes in the country’s history, devastated New Orleans. 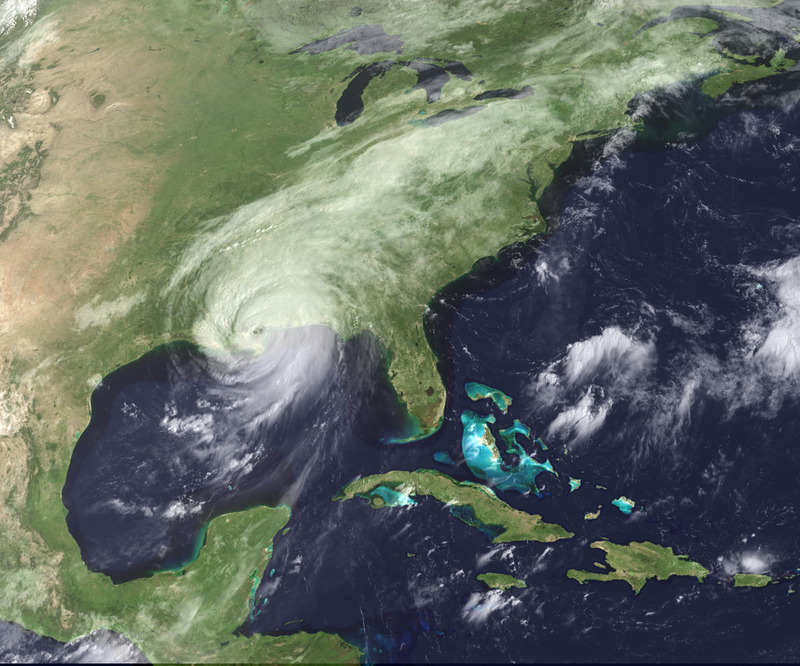 The destruction wrought by the category five hurricane emphasized our nation’s unpreparedness, and it sparked a national dialogue on what it means for cities to be resilient in the face of emerging threats like extreme weather. The National Infrastructure Advisory Council (NIAC), a presidentially appointed council of public and private sector infrastructure experts, has conducted many studies on infrastructure resilience over the past decade, several of which Nexight Group supported. With Louisiana facing the highest rate of projected sea level rise in the world by the end of the century, New Orleans has started securing its infrastructure for the long-term and mitigating potential threats. For example, it might sound strange to rebuild a hospital “upside down,” but that’s the intent of “Project Legacy,” a veterans’ hospital under construction. Unlike traditional hospitals, this facility’s emergency room and critical floors will be 20 feet above the flood line, to prevent critical patients from being at risk during a storm. Additionally, the hospital will have a dock for easy transport of vital supplies and injured patients should rising floodwaters incapacitate roads in the area. While investing in resilience is often costly and unpopular in the short-term, the investment will have dramatic payoffs in the long-term. “As a nation, we have consistently lacked the political and social will to make capital investments in infrastructure that may not pay off for decades, particularly when they are designed to mitigate risks that may never materialize,” the NIAC stated in Transportation Sector Resilience. While capital investments are difficult to justify politically, they could boost New Orleans’ resilience. “We estimate if they spend $50 million in adaptation measures to protect themselves against climate risk, they will save over $135 billion over the life of those mitigation efforts,” said Alex Kaplan, of the global reinsurance firm Swiss Re, about the Gulf Coast. After Katrina, the Federal Emergency Management Agency (FEMA) instructed New Orleans to purchase 12-year-old buses to replace vehicles, following a provision that required the restoration of damaged assets to pre-existing conditions. The New Orleans Regional Transit Authority pushed back on this stipulation, and after the law was altered, received funding for 115 new biodiesel buses. Other changes in FEMA legislation, including the advancement of relief housing and a provision allowing preparations before a disaster strikes, were pivotal in the response to Hurricane Sandy in 2012. In January, I wrote a blog post highlighting the work of 100 Resilient Cities, a non-profit organization committed to boosting municipal resilience around the world. Last month, the City of New Orleans and 100 Resilient Cities jointly released the Preliminary Resilience Assessment, signifying the end of the first phase of the city’s resilience strategy. Over 200 projects contributing to resilience have been identified for an “actions inventory,” and the city is investing billions of dollars in parks, streets, community centers, and schools. The city also undertook initiatives in affordable housing, data development, and water and sewage system replacement, while building a network of public-private partnerships. New Orleans aims to become a global model of resilience by its tricentennial in 2018, and its efforts will serve as a benchmark as other cities prepare for a resilient, sustainable future.